It feels like a new beauty treatment is released each day, so much so, it can be hard to work out which ones are the best. As the body’s largest organ, you need to be extremely careful with your skin, as if neglected, it can begin to look dull and tired. We know how frustrating it can be to have tried every cream, moisturiser and cleanser on the market to no avail, and still be left with problem skin. If this is you, you’re in the right place, as we’re here to introduce a potential solution. Microneedling is just one of the many different facials to have been developed in recent years, promising to revitalise any area of your skin that may be in need of a helping hand. Having offered this service at our beauty clinic in Milton Keynes for some time now, we can confirm that there are many microneedling facial benefits should you decide on this treatment. It’s imperative to find a microneedling professional, to ensure that this delicate procedure is carried out effectively. During a thorough consultation, your beautician will be able to talk through any particular concerns you have and determine whether microneedling is the right treatment for you. As this facial boasts so many amazing benefits, we’re sure microneedling will help to solve any skin complaint you have. Before we go into detail on 5 of the benefits of having this facial, let’s take a closer look at what microneedling entails and what you should expect from the treatment. It’s important to look at the history of microneedling to explain how this method of skin rejuvenation began. We realise that a lot of people will be immediately put off as soon as they see the word ‘needle’, but when you realise how the procedure came about, you’ll begin to realise that there’s really nothing to be worried about. The use of needles on the skin can be traced back as far as 1905, when a German dermatologist reported skin improvement through controlled resurfacing abrasion. More recently, medical tattooists noticed that after repetitive sessions, it lead to the reduction of scar tissue and skin rejuvenation. Similarly, in 1996, a plastic surgeon discovered that by puncturing the skin with tattoo needles, facial scars were vastly improved. This all culminated when another plastic surgeon named Dr Des Fernades, introduced his own needling device to stimulate collagen production. During the treatment as we know it today, a small pen containing multiple needles vibrate and pierce the superficial layer of the skin. This controlled form of abrasion stimulates the production of collagen, resulting in a vast improvement to the quality of the skin. For more in-depth detail on microneedling, take a look at this interesting article from Aesthetics Journal. Now that the history lesson is over let’s go through some of the fantastic benefits of microneedling, and look at the top skin complaints that can be solved through having this treatment. As we have touched on above, your skin will be left glowing after a microneedling session. This is due to the production of natural collagen, something that many people lack as they get older, which creates a smoother appearance to the skin. The two components within our skin that produce that lovely glowing, youthful look are elastin and collagen, which unfortunately both begin to dimish once we reach the age of 30. Because of this, many people who notice any premature signs of ageing can significantly benefit from microneedling facials. Fine lines and wrinkles will dramatically reduce, with clients reporting an immediate improvement to the skin on their face. The build-up of elastin and collagen will also help to thicken the skin, preventing it from thinning and in-turn, protecting it further against ageing. It is said that once the skin has been pierced, any products that are applied will be able to penetrate the layers of skin deeply and therefore have a more lasting and thorough effect. Take a look at these recommended collagen creams from lookfantastic, to use after you’ve had your microneedling treatments and help the effects last longer. Whether you used to suffer from particularly bad acne or have scarring on your face for another reason, microneedling is proven to reduce the appearance of any scarring. Scars, especially on the face, can be tough to live with and commonly result in confidence issues. Rather than mere cosmetic reasons, a lot of people turn to microneedling as a way to help them feel better about themselves. Any dents and pockmarks left on the skin will level out after a microneedling session and produce smoother, more plump skin. If you are suffering from scarring and want to use other products in conjunction with any treatments, there are some great creams out there designed specifically to reduce the appearance of scars. While we are mainly concentrating on the benefits of a microneedling facial, it’s worth remembering that the procedure can be carried out on any part of the body. Many of us suffer from stretch marks, which similarly to scarring, can have a negative effect on our confidence. Whether a pregnancy has resulted in stretch marks suddenly appearing across your body or you’ve experienced a significant change in weight at some point in your life, they can be tough to live with for some. While many creams out there are great and boast stretch mark healing properties, if you are looking for a more effective solution, microneedling could be the solution you are looking for. The reduction of stretch marks usually requires a few sessions to see the best results but can have an amazing long term effect on your skin. Similar to scaring, microneedling will help to fill in the subtle dents that stretch marks create, ensuring that you’re left with smoother skin. Beauty Bio have dedicated an article on the targeting of stretch marks through microneedling if you’d like to read more on this specific skin concern. If you suffer from acne and have been unable to control it through the use of face creams, microneedling could prove to be an effective alternative. It is not fully understood why the procedure helps to reduce acne, but it’s thought that the needles cause a reduction in sebum production which results in less oil build-up on the face. A study carried out in 2015 recorded the ‘good’ effects microneedling had on patients with acne, proving that it does indeed have a positive outcome. Many people with aggressive acne or spots will worry about having certain facials, running at the thought of a needle piercing their face. It’s ok however for microneedling facials to be carried out on acne prone faces, as dead skin will be removed and the top layer of skin thoroughly exfoliated. Hyperpigmentation can occur after spending a lot of time in the sun, as well as just happening naturally as we get older. Put simply; it’s when smaller patches of the skin become slightly darker than others, due to an excess production of melanin, creating an uneven skin tone. It is thought that microneedling is the most effective of skin procedures when it comes to treating hyperpigmentation, due to the collagen production. As detailed earlier, once the skin is pierced, collagen is produced which causes older patches of skin to become fresher and more youthful. If microneedling is applied to areas of hyperpigmentation, darker patches of skin will respond to the tiny pinpricks, making way for brand new, brighter skin. So, we’ve listed all the benefits and taken you through the science behind microneedling, even so, you may still have some niggling worries at the back of your mind. 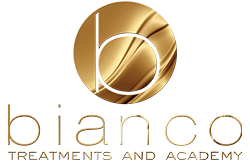 As a leading beauty salon in Milton Keynes, we’ll use our expert knowledge to dispell those myths, so you’ll feel completely comfortable and ready to try this fantastic treatment out for yourself. The treatment can’t be done in certain areas – This isn’t true. A lot of people think that microneedling can’t be carried out around the eyes or mouth, but it definitely can. If this is the area you’d like to concentrate on, make sure to visit a professional technician to ensure that the job is done properly. While it is doable, the needles cannot pierce the skin as deeply around these areas because the skin is thinner and more delicate. It’s really painful – While you may not believe us, we promise that it isn’t painful! Any professional beautician will ensure that your skin is sufficiently numbed and thoroughly prepared so you feel minimal discomfort during the treatment. After the procedure, your skin may feel a little warm and tender, but it won’t last long. The procedure will leave holes in my skin – Absolutely not! Yes, the needles make little pinpricks in the skin but are so small that they are not noticeable at all and will be fully healed within 4 hours of the treatment. I can do microneedling at home – You may have seen a lot of social media influencers using something called a dermaroller, which applies the same technique as microneedling. It definitely has its own benefits, but you 100% won’t get the same results as professional microneedling provided at a clinic. It takes ages to heal – This definitely isn’t true. Microneedling is actually perfect for those who can’t take a lot of time out of their day to recover from facial procedures. Generally, it takes 48hours for the slight redness to reduce, and makeup should be avoided within this timeframe for the best results. Most people report a noticeable difference in their skin immediately, with the treatment really paying off after a few sessions. If you’re searching for glowing, younger looking skin, microneedling could be just the solution you’ve been looking for. In just a few sessions, any skin complaints that have been getting you down could become a thing of the past, through this safe and effective beauty treatment. Previous Post What Is Laser Tattoo Removal? Next Post The Official Makeup Awards 2019 Finalists!